How do I add new users to my plan? Inviting user accounts to be members of your Fulcrum plan. Fulcrum is a multi-user system, allowing you to add user accounts to your plan for team-based data collection and collaboration. 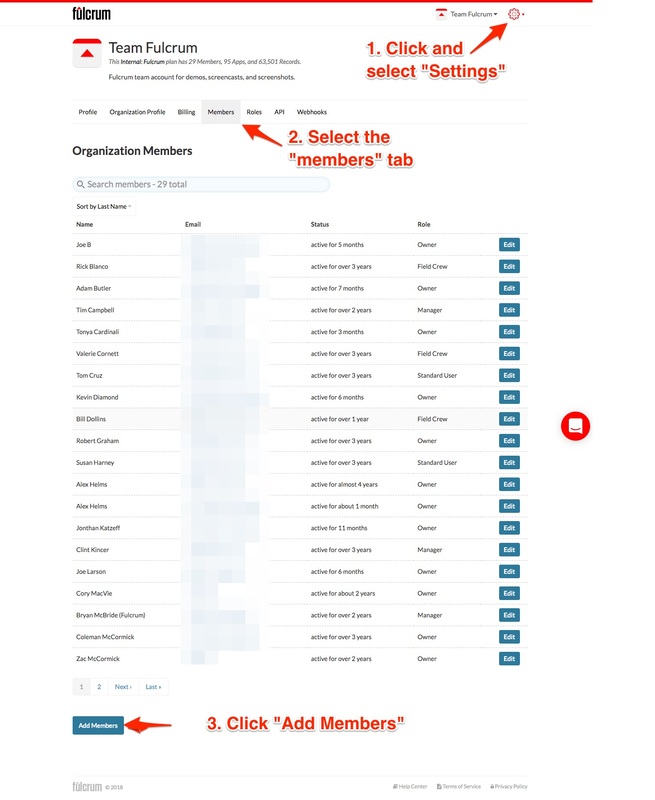 Adding new users as members to your plan is easy: By visiting the member settings page, you can quickly add or invite new users to be members in your Fulcrum plan. Go to the Settings menu by clicking the red gear icon in the upper right corner of the web app. Once on the settings page click on the Members tab. Click Add Members to start the process. 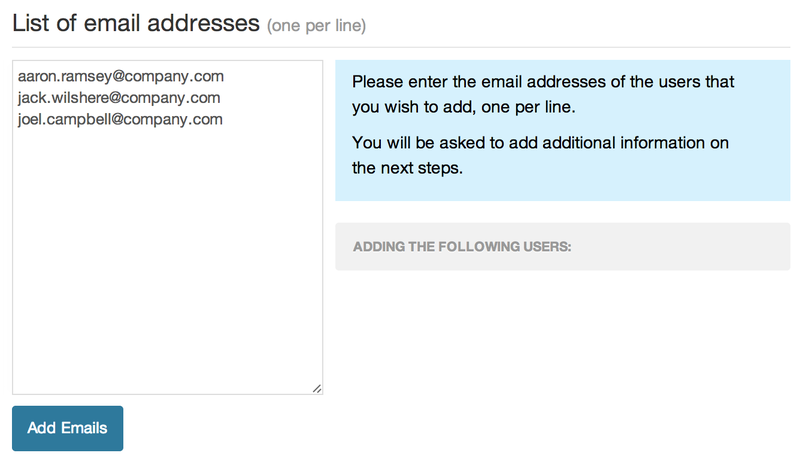 On the Add member page, enter one email address per line to add more than one user at once. Click Add Emails then click Next. You can also copy and paste from a CSV file as long as the email addresses are in a single column and one per row. If the users being added don’t yet have Fulcrum accounts, you can either specify default password at this stage, or leave the boxes blank to have the system auto-generate one for them. Fulcrum will send each user an email with the credentials and instructions to sign in. You can also set each user’s role, if desired, including custom roles you may have created. Under the Roles tab, you can also set the default role to use for new additional members. Set the new users’ permissions, granting access to apps, projects, and maps where applicable. Or keep the default permissions in place.